Also known as the ‘Senior’ Model the 10″ Filter Housing is designed to house any of the 10″ SX filter cartridges. This PLUS 3P version has a neat collar which makes it easier to lock and unlock the unit creating a more secure seal. With a Brass BSP thread for longevity this also reduces the risk of cross-threading. The transparent bowl allows you to see when your filter needs replacing. Wound Thread Heavy-Duty Sediment Filter. Disposable – Average Life Span 3-6 months. Filters down to 25 micron. 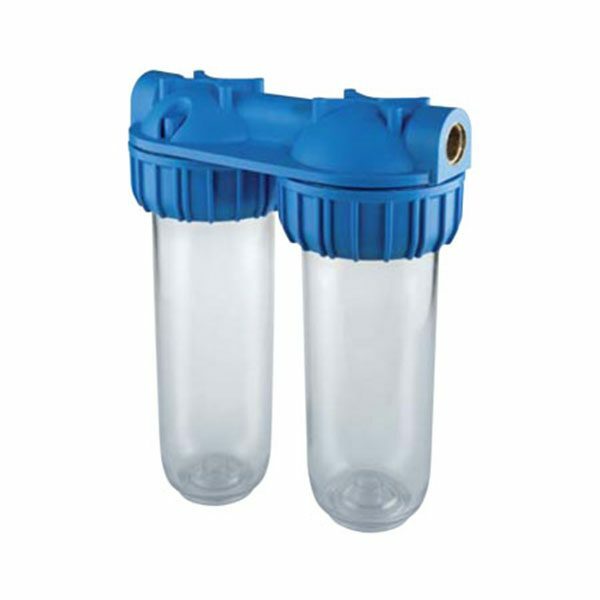 Fine Sediment Filtration & Reduction of Chlorine, Taste & Odour. Disposable – Average Life Span 3-6 months. Filters down to 1 micron. Wound Thread Heavy-Duty Sediment Filter. Disposable – Average Life Span 3-6 months. Filters down to 5 micron.